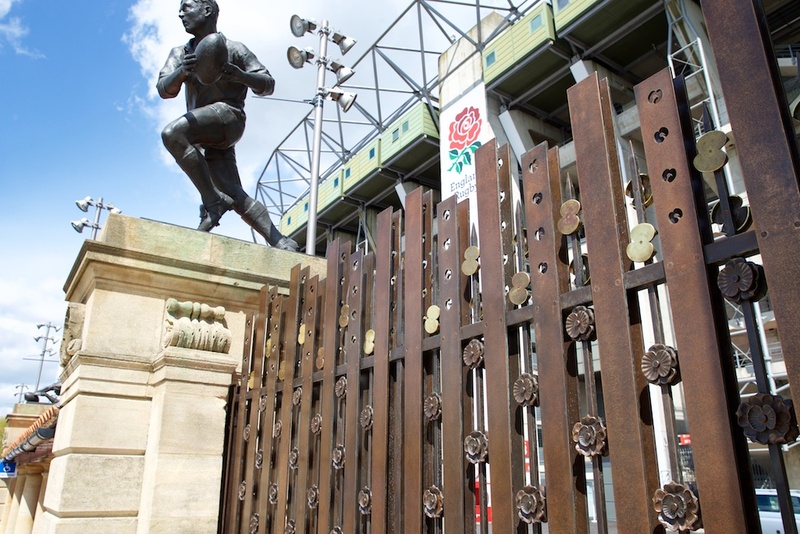 Tomorrow amongst the excitement, the colour, the passion of the 99th Army Navy Match take time to visit sculptor Harry Gray’s Rose and Poppy Gates that were unveiled on Friday by RFU President, Jason Leonard OBE, and the First Sea Lord, Admiral Sir Phillip Jones KCB. 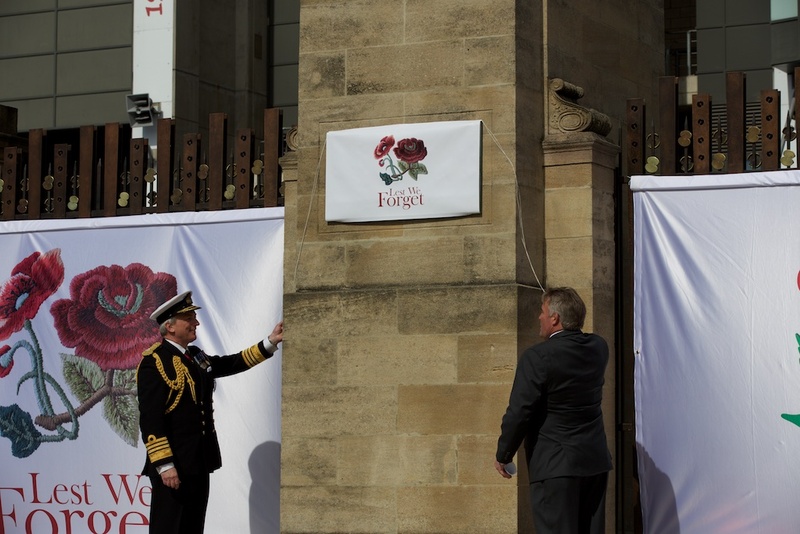 In these memorial gates Harry has truly captured the link between those players who wore the English rose upon the rugby field that joined thousands of brothers in arms and suffered the same ultimate sacrifice that is so poignantly remembered through the red poppy. The rose on those 1914 Grand Slam winning jerseys was the inspiration of Ronnie Poulton-Palmer, the captain of England, who was to be killed by a sniper at Ypres. And whose final words were said to be “I will never play at Twickenham again” Through the fine work of Harry Gray he will continue to be remembered by those who follow. 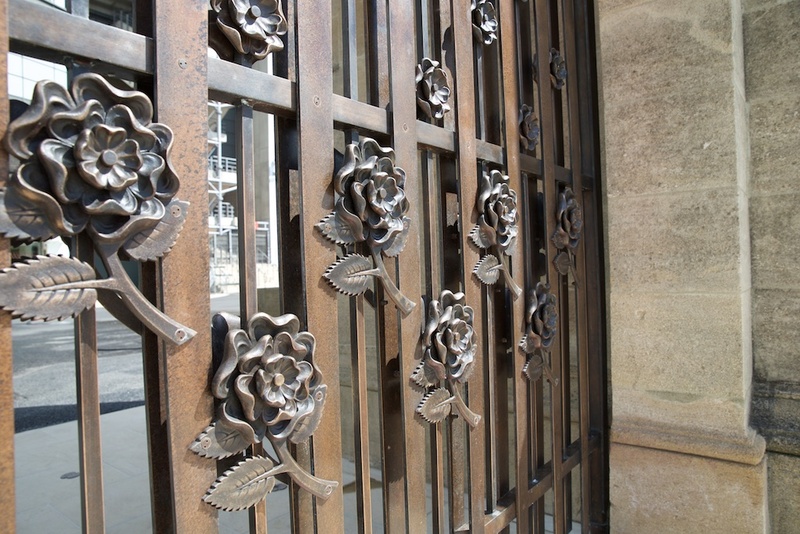 As you look at the gates, at the bottom are 15 roses representing the players of a team, the highest rose forming the lock to the gate, the man at the front. As you lift your eyes there is first a bronze bar, to represent going over the top, before the roses become poppies at the top of the gates. These poppies are cast from original German shell casings and as the light falls on them create further poppies in shadow of the pillars that hold the gates. Glancing one more to the floor you find there are fifteen more poppies within the ground, representing a team of fallen players. 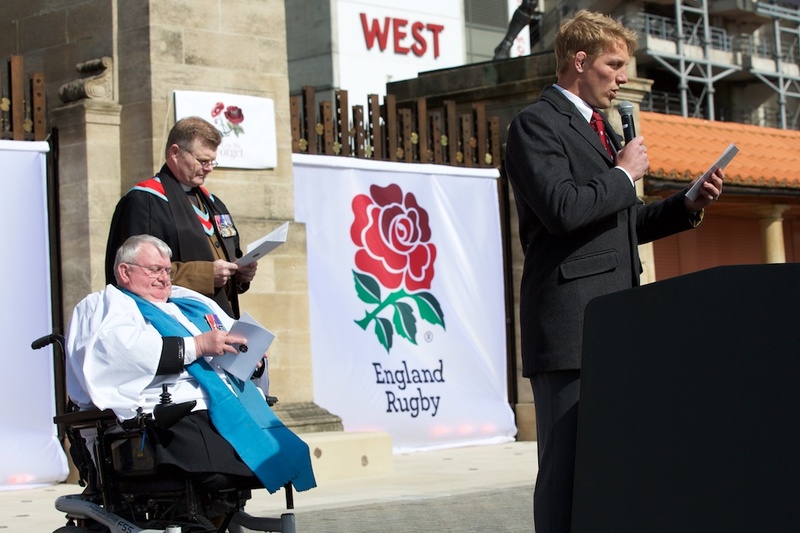 A moving but such a fitting tribute to the link between rugby and the Armed Forces. 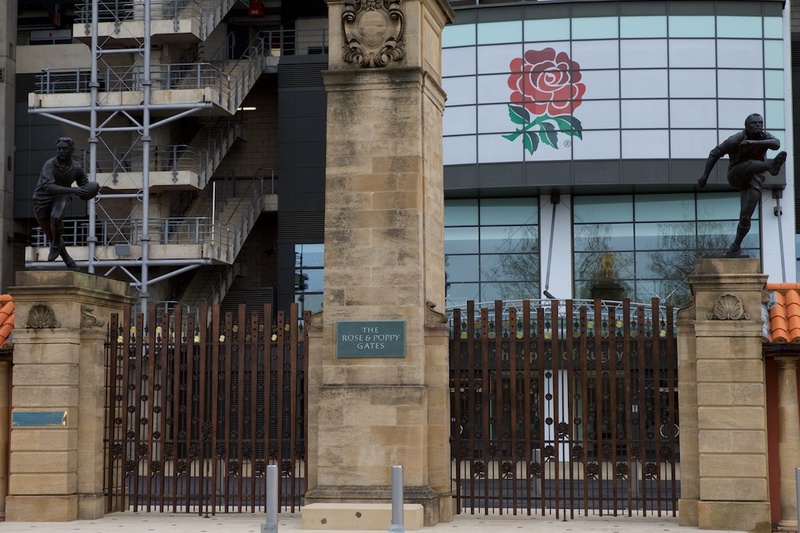 The gates will stand as a permanent and moving tribute to rugby players from England, but also from all nations, who have served their country and sacrificed their life or have suffered life changing injuries. 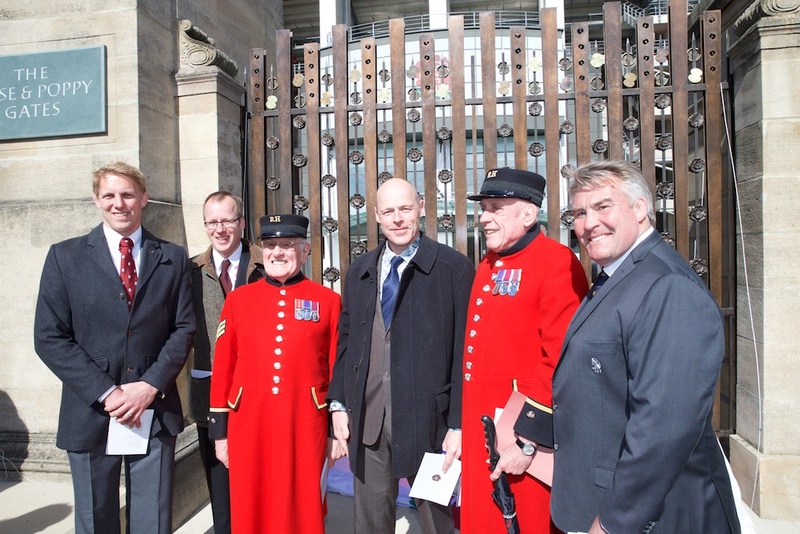 They will serve to remind that such events are sadly not just in the past but are relevant today as witnessed by the ongoing support that the 2016 Army Navy Match charity, the Royal British Legion, continues to give to Service men and women, and of course their families today.